I am always charmed by the wonderful mural artwork from France’s Seth Globepainter aka Julien Malland. He recently helped the launch of a terrific street art initiative in the Ukraine called “Mural Social Club”. 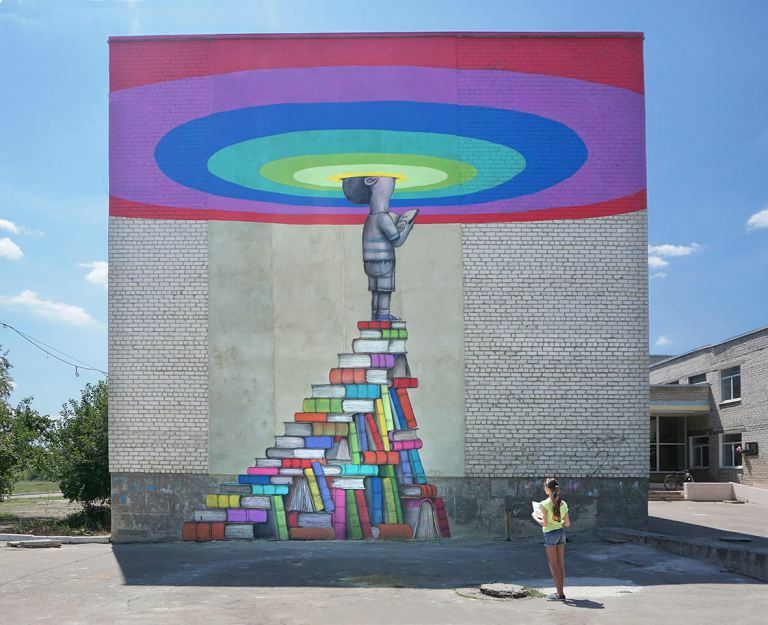 The ambitious project is bringing internationally known street artists to Kiev and other Ukrainian cities to create original artwork for schools and educational institutions. Supported by UNICEF and the Sky Art Foundation, the project aims to offer children a chance to experience art in their daily lives. Malland has already completed a powerful piece called “Per Aspera ad Astra”—Latin for through hardship to the stars—on a school in Kiev. And, he finished a project on a war-damaged school in Dombas titled “Swing”. You can discover more about the project and see the other murals here. 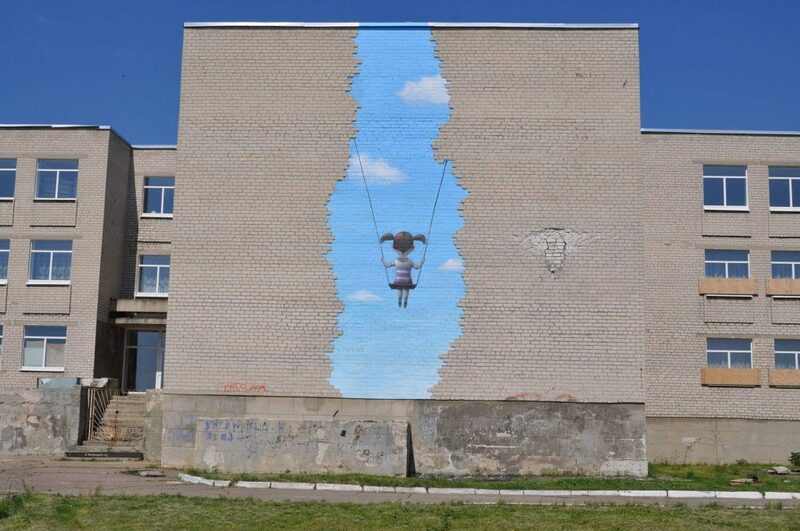 This entry was posted in Art, Europe, Museums and tagged Dombas, Kiev, Street Art, Ukraine. Bookmark the permalink.